Front cover above, rear cover below. Click in either image for a larger version. Published by Xin Publishing, available from Amazon. Penny was born in India, although her ancestors were of English and Irish origin. In 1956, when she was seven years old, her immediate family moved to London, leaving her grandparents and her uncle in India. She started a very different kind of life in England – where her father became a bus driver to support his family and educate his children. 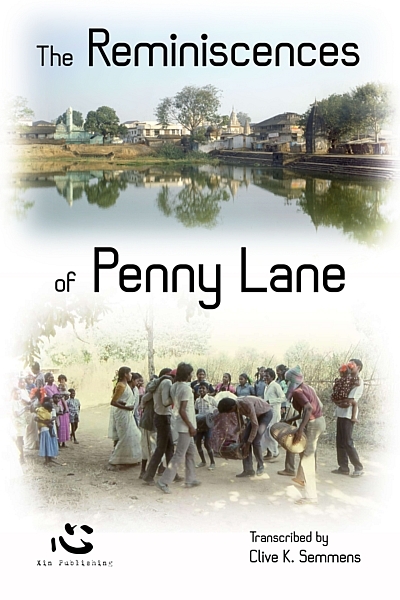 Twenty-two years later Penny visited India again and immediately got involved... in the real India, in a small provincial town and the remote tribal villages in the hills beyond it. 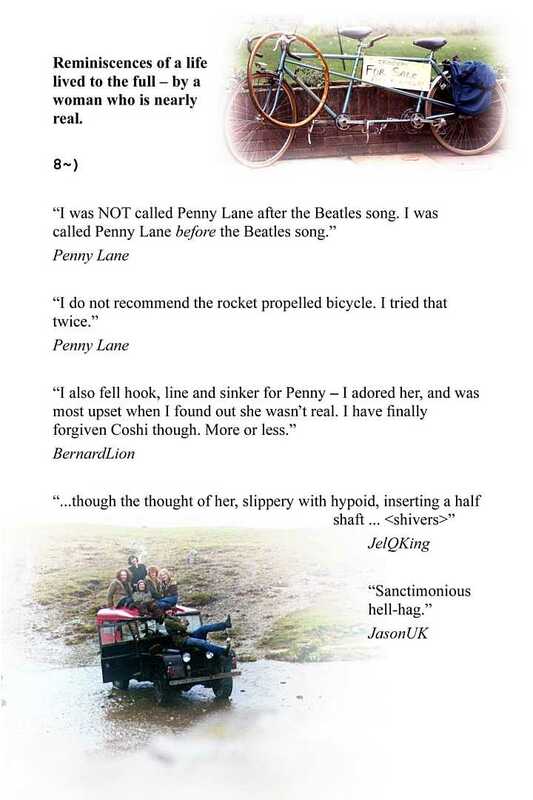 This is another world, that comes alive with Penny’s tales and the many authentic photographs that help the reader to adapt to the atmosphere and surroundings. However unusual her life story, it’s all very real. She doesn’t really exist, although for about a year in 2001 and 2002 a lot of people thought she did. “Bizarre but believable; eccentric yet plausible. “This is the autobiography of a fictional online chatblog contributor. The chatblog (the Guardian newspaper online talkboard) was real; the persona not. Needless to say there was a furore from the regular contributors when it became apparent that one of their number was artificial. That he was also sincere, polite and interesting was overlooked while the angry, abusive multitudes ranted! The book is not about the chatblog, but a background of the persona who had clearly attracted interest.